What is a panel interview? A panel interview is when there are multiple interviewers, typically interviewing one applicant. Panel members take turns asking the candidate questions, though there is one interviewer who leads the overall meeting. They are commonly used by the government, large non-profit organizations, or academic institutions vetting potential new hires. 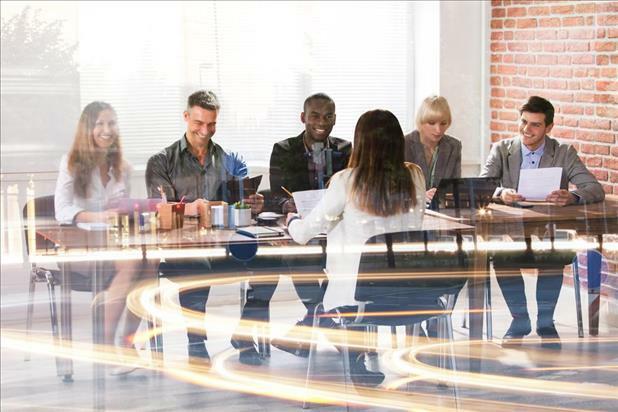 Businesses are particularly likely to use them when looking to fill an executive position, as these hiring decisions are made with input from multiple team leaders and administrators. Recently, many companies, especially collaborative ones, are using panel interviews any time a candidate will be a key part of a team. Panel interviews can be complicated and overwhelming not only for candidates, but for interviewers as well. Familiarizing yourself with the specifics and particulars of this format is essential to successfully conducting a panel interview. Use the panel interview tips and information below to determine whether this is the most effective tool for your situation. Panel interviews are highly effective when used appropriately. However, deciding whether this interview method makes sense for your particular job opening requires an understanding of the pros and cons. Panel interviews are significantly more time-efficient than the one-on-one alternative. Because many decision makers are present, this strategy requires fewer meetings and gives everyone the information they need to form an opinion of the candidate's suitability at once, allowing the hiring decision to occur earlier in the process. It also prevents top talent from growing frustrated with potentially lengthy, costly trips to your organization. Conducting a panel interview is generally one of the more objective methods of evaluating a potential new hire, as additional perspectives reduce the likelihood of hiring bias. The presence of multiple interviewers also keeps the discussion on-track, as each person has a set of panel interview questions to ask. The stress of responding to several interviewers will inevitably influence the applicant's performance in some way. However, if you are looking to fill a position in which the employee must function under similar conditions, a panel interview is an excellent opportunity to examine a candidate's response to pressure. 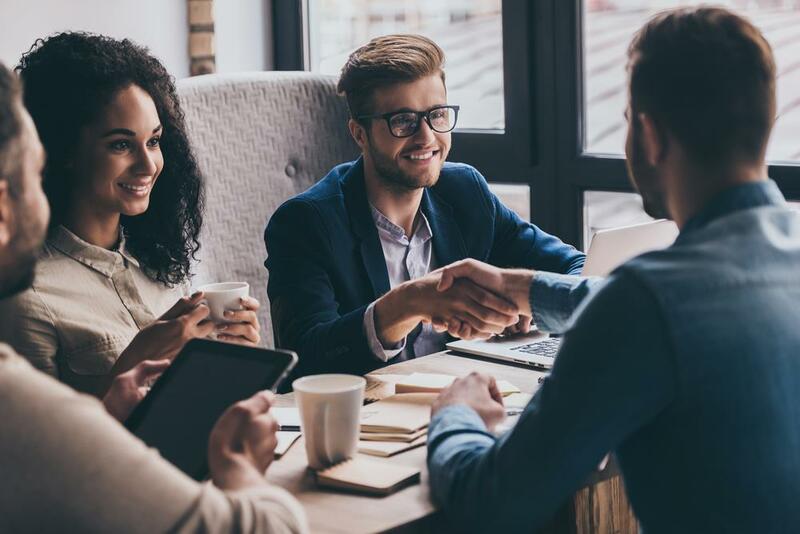 Your interviewee will have the opportunity to see how your team interacts with one another, which will (hopefully) further convince them that they would fit in and your company is a great place to work. While panel interviews are more objective and time-efficient, they are also less intimate. It can be difficult to establish rapport when the candidate's attention is divided between multiple interviewers. The stress of a panel interview may overwhelm more introverted and less outgoing applicants. 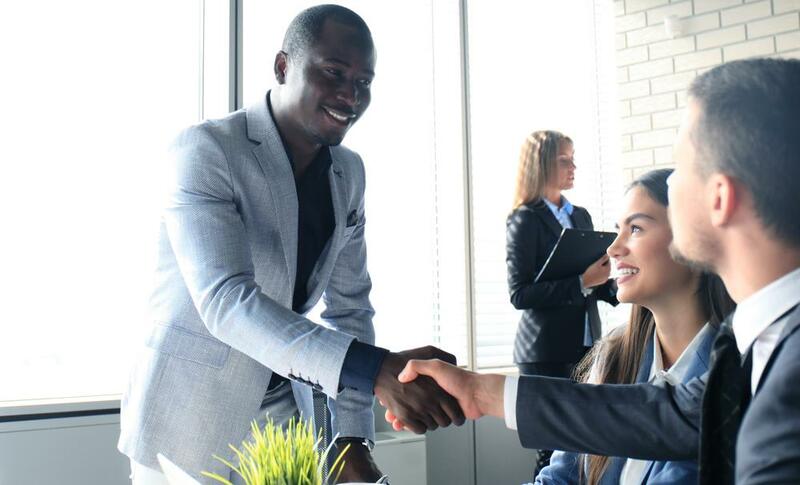 If you are looking to fill an opening that does not involve performing in high-pressure situations or frequent interpersonal interactions, a panel interview may not give you an accurate view of the candidate's capabilities. Because successful panel interviews require panel members to prepare the order and content of their questions ahead of time, there is less flexibility for someone to “go off script” so to speak if they want to dig deeper or ask a follow-up question. On the other hand, if you give your panel members too much flexibility, the interview could quickly get away from you. With multiple people trying to interact with and get to know the candidate, a panel interview requires significant preparation. You need to make sure everyone has a copy of the applicant's resume and cover letter to review, preferably a couple days before the interview. You should also set aside time before and after the panel interview to compare notes. Before meeting with the potential new hire, discuss your expectations and how to structure the interview. Everyone should be on the same page regarding what skills, experience, and personality the ideal candidate would have. Prepare a comprehensive list of panel interview questions to ask, and then divide them between panel members. Immediately after the panel interview, talk about your impressions as a group. What particular value points did the applicant seem to offer? What concerns do you have about their future performance at your organization? You could even have each panel interviewer jot down their thoughts before sharing to avoid biases or group think. Take notes so that you can compare the panel's thoughts about multiple candidates when it's time to make a final decision about extending a job offer. The more panel members you include, the more pressure the candidate will feel. However, don't exclude important decision makers in order to keep your numbers low. Aim for a healthy balance of three to five interviewers, including the relevant department head and one potential future teammate. You might also include other pertinent administrators or an HR representative knowledgeable about the applicant. When choosing your panel members, make sure that they understand the position and have a vested interest in bringing top talent into this particular role. These qualities ensure that the interviewers have the ability and strong desire to identify the candidate who will bring the most to your company. Also, all panel members should have a basic knowledge of how to conduct an interview. Always keep the candidate’s experience in mind as well. It can be easy to become so wrapped up in preparing to conduct the panel interview that you forget to see the situation from the other side of the table. It's a good idea to relieve some of the stress candidates may be experiencing ahead of time and reduce its effect on their performance. When you first invite them to interview, let the interviewee know that you will be using a panel format. Make sure to explain what a panel interview is and what they should expect. You could even find an online article or compile your own list of panel interview tips for job seekers that you can email each candidate. Try to create a welcoming and open atmosphere at the beginning of the interview. Introduce panel members with their names and job titles so that the applicant isn't guessing at the role each person plays in the hiring decision. Also, try to arrange the room in a non-intimidating way. For example, you could plan seating so that panel members sit alongside the candidate in a circle, rather than lining them up along one side of a long table across from the interviewee. Tell me about a time you realized your approach for a proejct wasn't working, and what you did to fix it. What are your career goals? Where do you see yourself in five years? Why do you want to work for [Company Name]? What makes you the ideal candidate for [Company Name]? Imagine you are in charge of a project, and are not sure you'll be able to meet an upcoming deadline. How would you handle the situation? What is one weakness you have, and what are you doing to improve it? Organizing and conducting a panel interview can be a significant undertaking, but this interview structure can also bring great value to your hiring strategy. When opting for a panel interview, the tips above can help you reduce time and costs, streamlining your process and quickly securing top talent for your open positions.